Monthly photo challenges are a lot of fun & they sure make me think about ideas & objects in a creative way. This month since Christmas is coming, I made my list centred around all things Christmasy. Enjoy! Follow me on Instagram to see my daily photo. 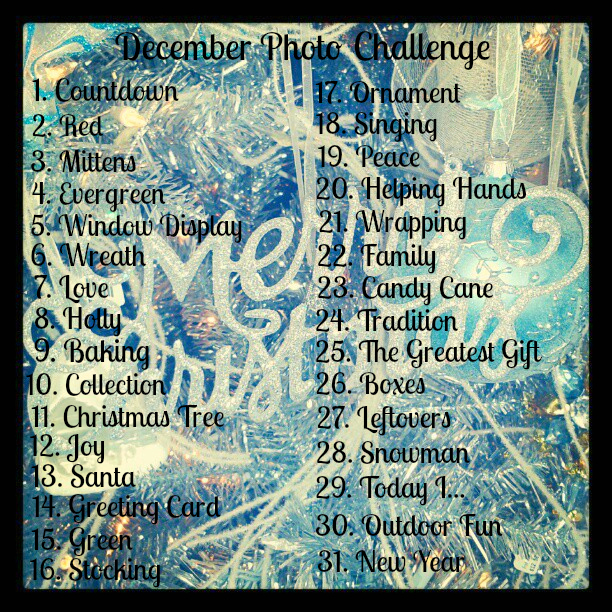 Let me know if you're taking the challenge - I'd love to see your photos too! I'll be using the hashtag #SBphotochallenge. Please join me & we can share our photos with one another! Here's to a great December! Just began to follow you on onstage am:D where do you find the photo challenge?